For people with poor vision, LASIK eye surgery can vastly improve their eyesight and even eliminate the need for eye glasses and contact lenses. While LASIK is an effective way to improve vision, there are some people for whom it may not be the best choice. People with thin corneas may not be ideal candidates for the procedure, so it is very important you are working with a doctor who takes the time to do a comprehensive consultation and exam and has your best interest in mind. What Role Does The Cornea Play In LASIK Eye Surgery? LASIK eye surgery is performed on the transparent eye tissue known as the cornea. To perform the procedure, a surgeon first cuts into the cornea to create a flap. Next, the surgeon lifts the flap and uses a laser to remove corneal tissue and reshape it. The amount of corneal tissue that needs to be removed is determined by the patient’s degree of nearsightedness, with more tissue removed in the corneas of patients with a high degree of nearsightedness. Once the corneal tissue is removed and reshaped, the flap is replaced and the cornea is allowed to heal. Why Are Thin Corneas A Consideration In Determining LASIK Eye Surgery Candidacy? Since LASIK requires altering the corneal tissue, patients with thin corneas may not have enough tissue to successfully reshape. The major concern in dealing with thin corneas is that there is simply not enough corneal tissue to cut and reshape. If too much tissue is cut from a thin cornea, there is the possibility that the structure of the eye will be weakened. This weakening can lead to complications such as ectasia, a condition where the cornea is weakened to a state where it begins to bulge outwards. In some cases, ectasia may even leave the patient permanently blind. For patients with thin corneas, the risk associated with LASIK eye surgery may outweigh the benefits. Are There Any Cases Where People With Thin Corneas Can Have LASIK? Absolutely. 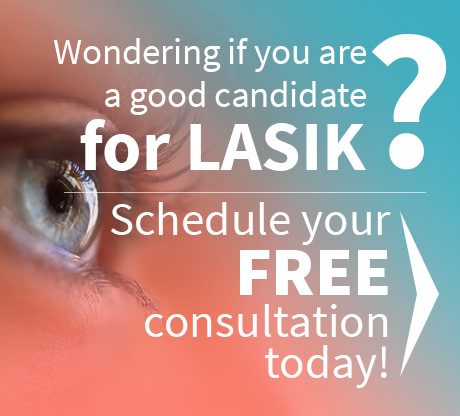 Every case is different and some people with thin corneas may still be candidates for LASIK. For patients who have thin corneas but otherwise meet LASIK candidate criteria, procedures such as riboflavin corneal collagen cross-linking can be performed to strengthen the cornea after LASIK and prevent weakening of the eye and further complications. As you can see, it is extremely important that all risk factors are taken into consideration and you have a doctor that has enough experience and expertise to make the right recommendations and follow the protocol that will give you the best results. While there are lots of options for LASIK doctors Houston area wide, none have the experience, respect and expertise of Dr. Goosey. Having performed over 30,000 refractive procedures, Dr. Goosey is the doctor other doctors entrust to perform their eye surgeries. Dr. Goosey is a fully certified member of the American Board of Ophthalmology and uses the most advanced technology available to ensure each patient’s results are perfect. 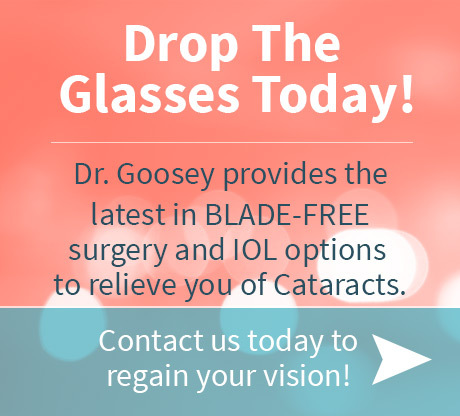 Call or visit Dr. Goosey online today to see if LASIK is right for you.